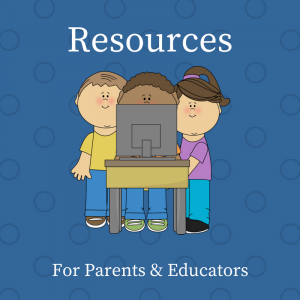 Within this page you can find links on creative ways to engage kids in books, learning to read, and writing. Although they are geared for the classroom, parents are educators, too, and many of the ideas will work well at home … particularly those designed to bring reading to life. 20 Questions and Answers about Dyslexia that Teachers Can Use to Reshape Instruction – Dyslexia can go undetected, and you’ll find resources that can help. This article on the Reading Rockets Website is helpful not just for educators, but parents, as well. Author Name Pronunciation Guide – TeachingBooks created this great resource to help you correctly pronounce an author’s name. Education Oasis – There are lots of great links on this website, including a day-by-day calendar of events with curriculum ideas, children’s book reviews, and tons of other resources. How We Set Up Book Clubs in Middle School by Pernille Ripp. Pernille explains the factors that have influenced the current structure of her book clubs, as well as step-by-step help on how to create one in your classroom. INK Think Tank: Nonfiction Authors in Your Classroom. The main feature of this website is a FREE, searchable database of hundreds of in-print books all written by the 22 award-winning I.N.K. authors. Now you can find lists of books for all grade levels covering content mandated by National Education Standards and your state curriculum. Making Time for Literacy Chit-Chat to Support Book Choice by Franki Siberson @ Choice Literacy. In this article, Franki talks about how she uses classroom time to engage her students in talking about books. She offers a list of questions to help get those chats started. The Power of Puppets by Lisa @ Two Learning Journey. This is a first-hand description of using puppets to engage students. Lisa is a reading support teacher. Promoting Print Awareness by the Texas Education Agency @ Reading Rockets. This is a set of guidelines for engaging young students in the process of understanding that language has meaning. Resources to Help Immigrant Children and English Learners by Lectura Books (August 2014). Use this post as a starting point to learn more about the Latino Family Literacy Project. TeachingBooks.net – This is a School Library Journal microsite where you can find links to author programs, author websites, and book guides. A Modest Proposal (For Doing Research with Kids) by Deborah Heiligman @ I.N.K. The Draw-a-Reader Test: Informal Assessment Supporting Teacher Inquiry by Suzy Kaback at Choice Literacy. Grammargator – This is a free grammar guide for teachers in a PDF format. Poetry Foundation Learning Lab – This set of pages on the Poetry Foundation website offers tips, articles, and examples of ways for educators to use poetry and immerse kids in this form of literature. Read Alouds for Building Community Early in the Year – This is both a podcast and transcript of a discussion with Mary Lee Hahn of A Year of Reading. You’ll find it at Choice Literacy. Some Rules We Need to Break in our Reading Classrooms – You’ve heard them “read X pages before abandoning a book, or “you are too old to read this book.” Pernille Ripp takes the 11 most popular rules to be reconsidered in today’s classroom. StoryStarters by Mark @ This Teaching Life (August 2009) – Mark talks about Scholastic’s StoryStarters program and offers ideas on ways to use it in the classroom to help students in grades 1 to 4 overcome writer’s block. Tales of a Fourth Grade Slump: How to Help ELL Students Leap to Success by Kristina Robert on Colorin Colorado. Writing Fix, – A Northern Nevada Writing Project. Teaching writing through picture books. Lessons focus on the 6+1 writing traits.